Nintendo fans, your prayers have been heard and answered. After years of teasing, The Legend of Zelda: Majora's Mask 3D is destined for the Nintendo 3DS in spring 2015. Nintendo made the announcement during its Nintendo Direct presentation earlier this afternoon and promised that it would have all the bells and whistles of its popular Ocarina of Time 3D remake from 2011. For those not in the know, Majora's Mask is the direct sequel to Ocarina of Time and it was released in 2000, the beginning of the Nintendo 64's waning years. It was derided and criticized at the time for striding a little too far away from the Legend of Zelda formula, but it has since undergone serious re-evaluation over the years to the point where it remains a fan favorite. Unlike most Legend of Zelda games, which are huge and open adventures, Majora's Mask is a much smaller and tighter world. Its unique approach gives players three days to save the planet from a collision with an incoming moon, and if they can't, then they are doomed to start the game all over again. However, with each passing hard reset, the player is armed with more intimate knowledge of the world to help him go about his tasks much faster. It's basically Ocarina of Time re-imagined as a roguelike. I'm pumped! I didn't own a Nintendo 64 back in those days, and I have never gotten the chance to properly play this game. Thanks to the powers of the Nintendo 3DS, I can finally catch up on a game that has for too long provided a huge hole in my video game knowledge. 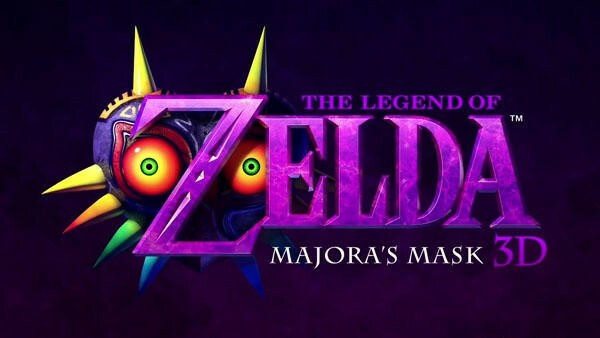 Majora's Mask's unique premise sounds like a natural fit for handheld devices, probably making this the definitive version of the game. Again, The Legend of Zelda: Majora's Mask 3D will be released in spring 2015.